Your DNA knows when you will die…so who’s feeling brave? According to scientific research, your DNA presents clues as to when you’re going to die. Fortunately, it’s quite easy to figure out. So, who’s keen? If you knew you were going to die tomorrow, would you want to know? Welcome to your breakfast. It’s a fairly obvious question, one that begs asking, but is often met with obvious resistance. How dare you articulate the clock/bomb ticking over our heads. So, would you want to know? Huh? Do you feel mortal, punk? According to the dorks of science, it is becoming more evident that our DNA holds insights regarding the probability of your lifespan. According to research, it all comes down to one word: Epigenetics. Epigenetics is the fundamental changes to your DNA activity. What this means is, epigenetics gives insights into how the cells in our body that comprises of our genetics, evolves and changes as we age. 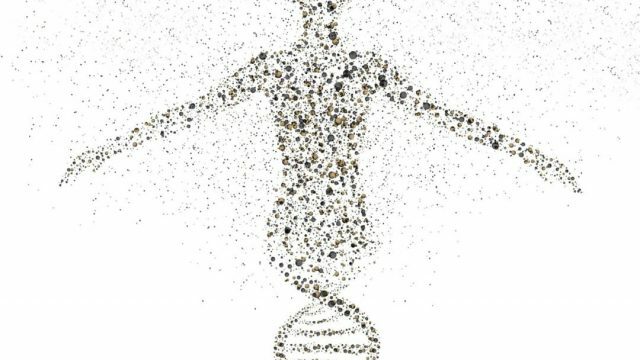 It is a concept that separated DNA from our Genetics, and in doing so, allows epigenetic markers to indicate how your body is responding to average factors such as weight, ageing, et cetera. By examining your biological age based on your DNA methylation patterns, researchers are slowly able to draw on the probability of the type of illnesses and hereditary problems that accompany the ageing process. Ergo, giving them a possible timeframe that indicates how long you will survive on the planet. Also, by submitting User Provided Content through any of the Services, you grant Ancestry a sublicensable, worldwide, royalty-free licence to host, store, copy, publish, distribute, provide access to, create derivative works of, and otherwise use such User Provided Content to the extent and in the form or context we deem appropriate on or through any media or medium and with any technology or devices now known or hereafter developed or discovered. The use of our data to save or sentence us is no longer fiction. The implementation of data in the courtroom is not a particularly new concept, as shown in the 2014 ruling which saw the data from a customers Fitbit device being used as evidence in a personal injury lawsuit. What we seem to have here, at least within the borders of this article, is a baited opportunity. While we could use the data to guesttimate our own end, we could also open up our genetic code to the cold philanderings of big business. Maybe the key is information, knowing who is using our DNA data for what. That, or just sell it to the highest bidder. After all, death is coming.